2 pieces super soft and more distance. Best for average to fast swing speed. 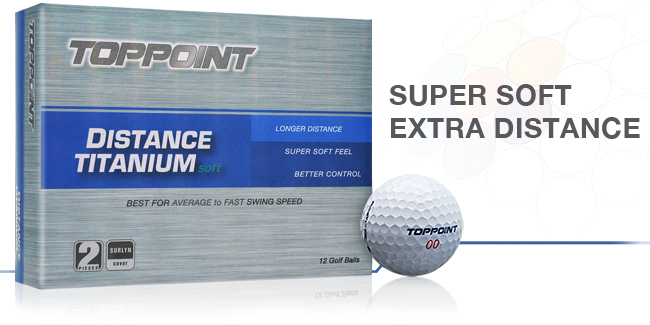 Core High velocity special blended polybutatiene technology gives excellent distance. Combine with Titanium Metal Powder gives nice and smooth spring, which offers more ball velocity for enhancing ball distance with extremely soft feel. Cover The smooth synergies between Zinc and Sodium Surlyn cover generate high spin and durability. Dimple 392 dimple pattern design performed stable ball flight and extended distance.